The central location of Aspen Manor Motel, on Grey Street in Hamilton East makes leading accommodation Provider Aspen Manor Motel the perfect place to base yourself while exploring the great little towns of the Waikato. Located in Grey Street in Hamilton East, Aspen Manor Motel has 31 spacious units with modern facilities and friendly staff which will ensure that your stay will be the best possible. 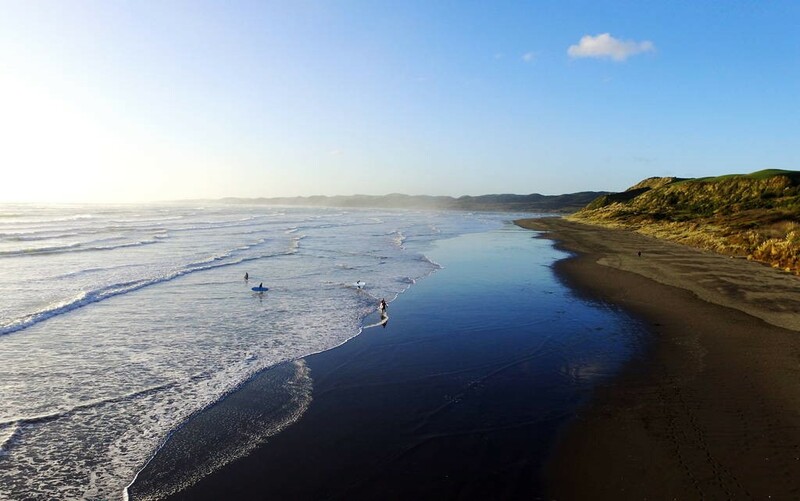 A surfer’s dream destination, Raglan is a peaceful coastal town where you can’t help but be relaxed. 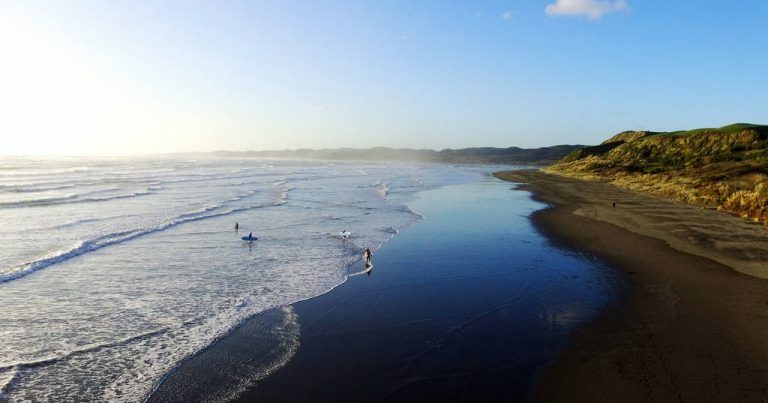 From its black sand beaches to it’s laidback vibe, Raglan is an unspoilt slice of New Zealand. 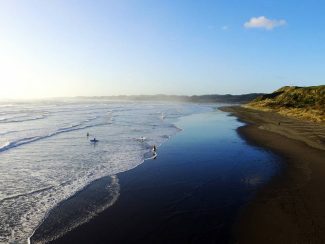 “Raglan has an abundance of water-based activities for you to try out,” says Aspen Manor Motel owner Grace Tong. Why not have a go at kayaking, stand up paddle boarding, surfing fishing or take a relaxing harbour cruise. Make sure you check out the town’s abundant galleries, studios and markets. It’s all on offer in Raglan. Surrounded by lush farmland and horse studs, Cambridge Cambridge’s serene tree-lined streets has an old English village charm to it. Cambridge boasts a variety of boutique stores including gourmet coffee roasters, winemakers, art galleries and fashion shops. Locally as the town of champions, Cambridge is also becoming a popular spot for top cyclists, with the Avantidrome situated just north of the town. If you’re a cultural or history buff, we recommend going on the heritage trail or Walk of Fame,” says Grace. Horse stud tours are also available. Just an hours’ drive south from Aspen Manor Motel will bring you to the world-famous Waitomo Glow Worm Caves. “You won’t find awe-inspiring caves like this anywhere else in the world,” adds Grace. There are a number of options to explore at Waitomo, from canoe tours through the caves to black water rafting, to exploring the history of the town of Waitomo. Experience some movie magic in Matamata! Nestled on a sheep farm is the world-famous Hobbiton Movie set. Take a magical guided tour to hear behind the scene stories and marvel at the set that was created for the epic movie’s trilogies, The Lord of the Rings and The Hobbit. After the tour you can explore Matamata’s range of antique stores, high end fashion shops and delicious cafes. Located in the northeast of the Waikato region, Te Aroha is spa town famous for its natural hot soda water springs. If you are wanting a relaxing day out, there is wealth of high-quality spa options on offer. These include private spas, including traditional wooden tubs or porcelain baths, with massage therapy add ons for the ultimate indulgent experience. “The Te Aroha Leisure Pools is a great family option,” advises Grace.